This is the tenth in a series of 6-Question interviews with leaders who are challenging conventional thinking in Orthopedics (read other interview here). 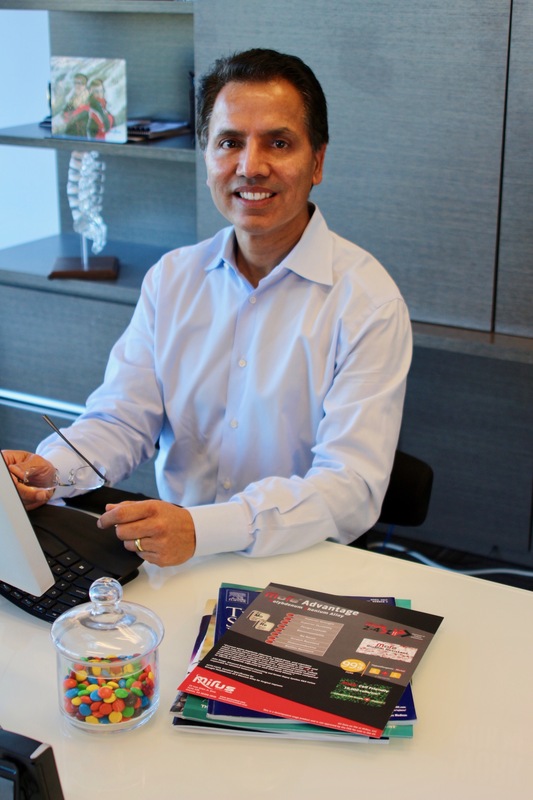 Dr. Jay Yadav is the founder of a bold new play in Orthopedics and Spine, MiRus. He is bringing a proprietary new alloy to orthopedics and has big plans to challenge what is possible. Jay has a history of innovation and commercialization in medical devices. Jay is an interventional cardiologist and founder of a number of successful companies which have improved outcomes and have been acquired – CardioMEMS acquired by St. Jude Medical; Angioguard, Inc. acquired by Johnson & Johnson; first investor and director of SMART Therapeutics acquired by Boston Scientific. I sat down with Jay to ask him a few questions and better understand the MiRus story. 1. How was MiRus founded? Take us back to the start of the company and the inception of the idea. MiRus’ origin, like many of the best things in life, was serendipitous. One of my companies, Icon, had spent almost ten years developing a novel alloy, Molybdenum Rhenium for medical implants and had made the world’s thinnest coronary stent with a 0.06 mm wall thickness. The stent underwent a successful clinical trial in Europe and received a CE mark and we partnered with some European distributors. We chose not to bring it to the USA because even a bare metal stent remains a PMA and drug eluting stents require quite lengthy, expensive clinical trials. I happened to be talking with some friends who are spine surgeons and they thought it would be a great metal for spine implants. We did some initial exploratory work and received strong interest from several established spine companies. In parallel, I had another company, CardioMEMS, which had developed very sophisticated electronic technology for heart failure. CardioMEMS is the first cardiac implant which is wirelessly powered as well as the first implant completely wafer fabricated. We conducted a major randomized trial and submitted a cardiac PMA which is a very lengthy and arduous process. While we were waiting for the FDA, I asked our electrical engineers to explore some ideas I had regarding a new approach to surgical navigation which we call multi-sensory navigation. We spun out this technology in a new company, Polaris. Polaris was initially focused on hip and knee surgery and almost immediately we received offers from established hip and knee implant companies. At about this time in 2014 we sold CardioMEMS to St. Jude Medical, so I was freed up to carefully examine the spine and orthopaedics space. After talking to numerous joint and spine surgeons, distributors, large companies and attending many NASS, SMISS, SRS, AAOS, and AAHKS meetings, I concluded that it was a very interesting space ripe for disruption. So we decided not to accept the offers for Icon and Polaris and instead in late 2015, we merged Icon and Polaris together to form MiRus. MiRus comes from the Latin root for “miraculous” so the pronunciation is similar with emphasis on “mi’; it is also a play on our alloy molybdenum rhenium. One of my children came up with name. Because of its history, MiRus started life with some significant advantages over most device startups. MiRus has very deep and broad intellectual property with over a 100 patents and very sophisticated technology with the R&D spend on the background technology and “know how” being around $60-80M. 2. How is MiRus funded today? We are fortunate to have a long term group of investors that have been with me going all the way back to Angioguard in the 90s. These are large family offices where the parents invested with us and now the children are involved. These stable long term relationships allow us to make long term investments in fundamental research such as developing a new alloy or a totally new approach to navigation which the vast majority of medical device companies are simply not able to do. 3. Before we get into the alloy, tell us about the navigation technology. As someone looking in at surgical navigation from the outside, I was struck by the archaic nature of the current optical navigation systems. The fundamental technology is 50 years old and dates back to golf simulators. The medical device companies are reliant on a small group of OEM companies for the underlying technology. I wanted to take advantage of current research as well as our own work in computer vision and MEMS to increase safety and precision by having other types of information in addition to the visual domain, similar to the multi-sensory input provided by your nervous system. So we have built upon our work in electronics and MEMS to create a very efficient , low cost multi-sensory system with much smaller fiducials – i.e. a single small pattern replaces the array of four spheres currently being used. We are also solving problems that current navigation systems don’t address. Our first module provides dynamic measurement of sagittal alignment. Our second module provides rod navigation and contouring. Our third module will provide dynamic intervertebral motion as if you had continuous CT scanning during surgery. Our last module will provide a more elegant approach to pedicle screw placement. We are also altering the user interface. If you think about it, very little attention has been paid to the work flow of spine surgery and the horrible ergonomics and radiation exposure faced by spine surgeons. We are creating a totally different approach incorporating mixed reality into the OR to dramatically improve surgeon ergonomics, work flow and reduce radiation exposure. We will demo this at NASS. 4. 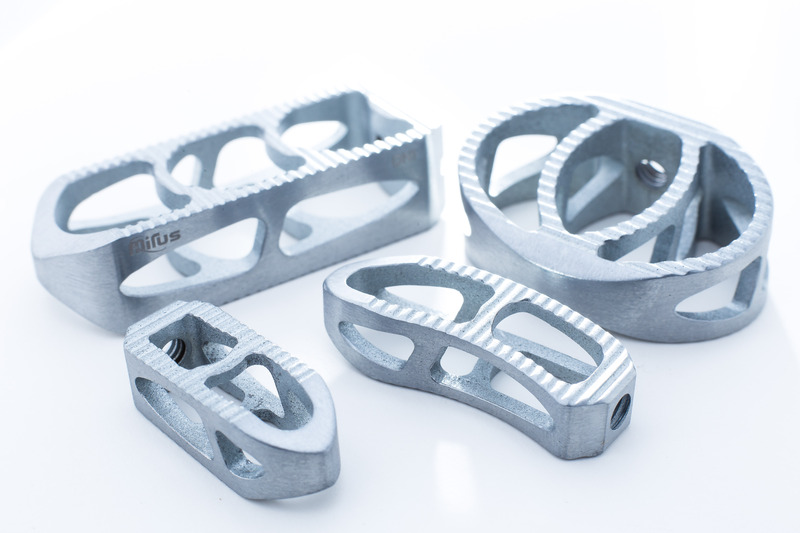 What can you share with the orthopedic world about your alloy? Our journey with this remarkable material started well over a decade ago, when I was quite dissatisfied with the materials we were working with for cardiac implants. We were using cobalt chromium, stainless, and nitinol. Interestingly, titanium is not used in cardiac applications because of its poor strength and fatigue properties – stents and valves have to be fatigue tested to 400 million cycles. As luck would have it, I had a patient who was a major industrialist and owned a large steel company and put his metallurgists at our disposal. I described the characteristics I was looking for – better strength, ductility, fatigue tolerance, excellent hydrophilicity which would assure good cell adhesion and replication, and absence of nickel. They suggested exploring molybdenum rhenium alloys which are refractory metals and only used in aerospace applications. It took a decade of process refinement but we were to develop a perfect material for medical implants as well as create multiple layers of intellectual property protection around it. Our MoRe alloy is far superior mechanically and biologically to both cobalt chromium and titanium. 5. What are your first commercial products is the pipeline? Early in the coming year, we will be launching our lumbosacral degen pedicle screw system based around a 4mm MoRe rod with the world’s smallest tulips and towers. We will also launch a complete line of MoRe static cages which have twice the graft volume of current cages, dramatically improved fusion visibility and a very osteoblast friendly surface. The implants will be accompanied by our initial navigation modules in sagittal alignment and rod navigation. Later in 2018 we will launch the world’s lowest profile expandable interbody with the largest expansion range. We will also launch the thinnest anterior cervical plate and the smallest posterior cervical system. We also expect to introduce our first foot and ankle product in 2018. 6. What does your crystal ball say about the future of MiRus? We are very well positioned to take advantage of our large, long term investments in basic R&D. We will have new products coming out every quarter for many years to come, encompassing degen and deformity in spine as well as foot and ankle, upper extremity and dental. I have found spine and orthopaedics to be great areas with wonderful people who are very committed to providing better care for their patients. We look forward to building MiRus into a full service spine and orthopedics company which addresses many of the unmet needs in this very important disease space.